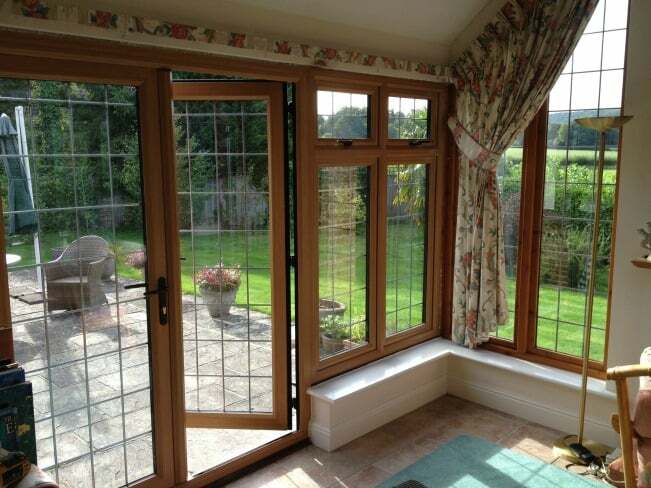 The existing windows and doors in the customer’s kitchen extension were timber. They weren’t rotten but were difficult to operate and were very draughty. 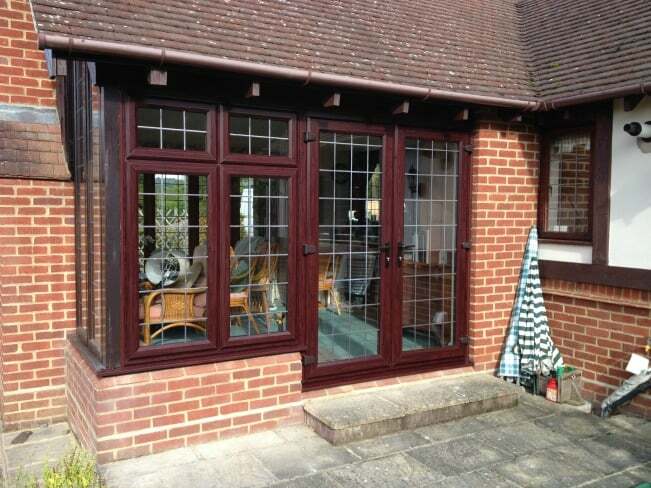 Our customer wanted reliable, low maintenance, secure double glazing which matched with the existing timber stained finish and so they chose the Rosewood colour uPVC externally and the Cedarwood uPVC internally. We supplied and fitted an A-rated double glazed uPVC window together with a pair of French doors – all Liniar profile, Rosewood outside, Cedarwood inside and with 9mm oval rectangular leaded lights to match the existing layout.